After spending 5 days in the historic and scenic Croatia, we now headed to one of the Central Europe’s delight - Austria. 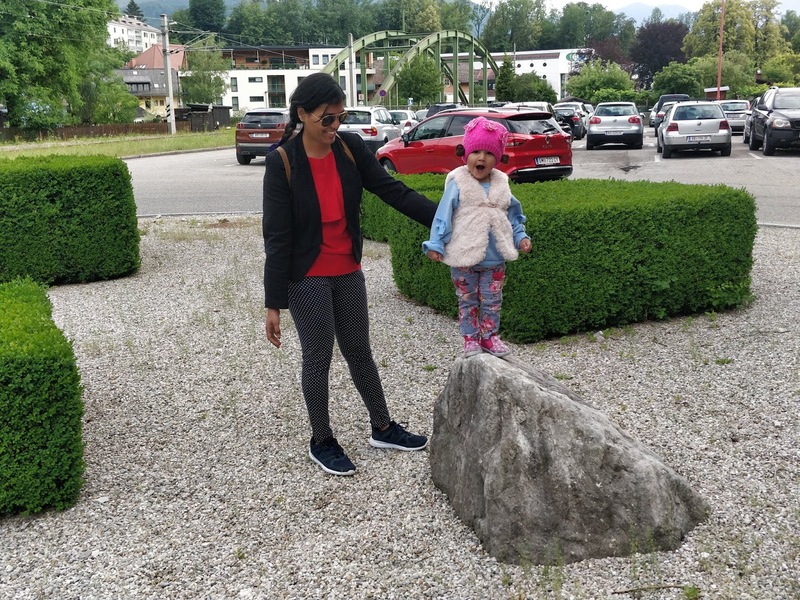 Due to limited time and our preference to see scenic places, we chose to visit only Salzkammergut and nearby regions in Austria. 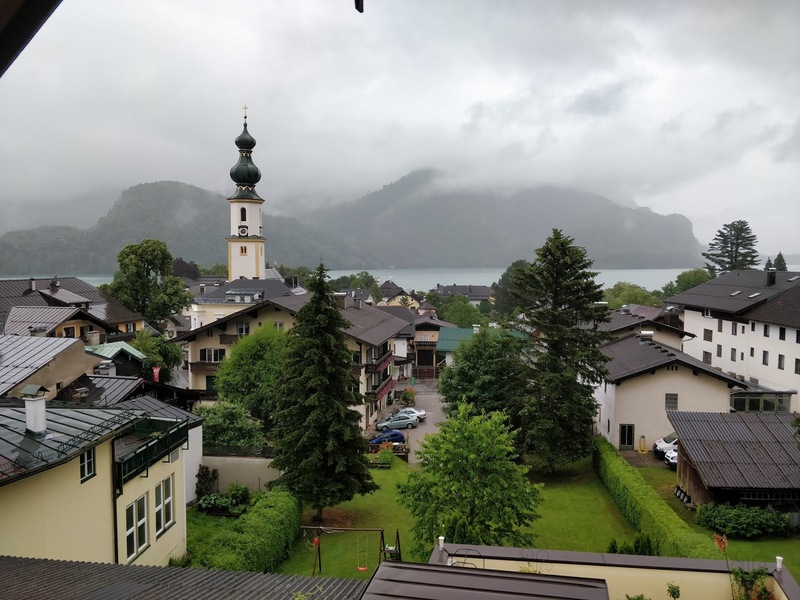 Salzkammergut is not a city but an area shared between Salzburg and Upper Austria. It has become a popular tourist getaway owing to its green landscapes, picturesque villages, mountain peaks and many lakes. We took a morning train from Zagreb to reach Salzburg–known as the City of Music on account of Mozart’s birthplace. 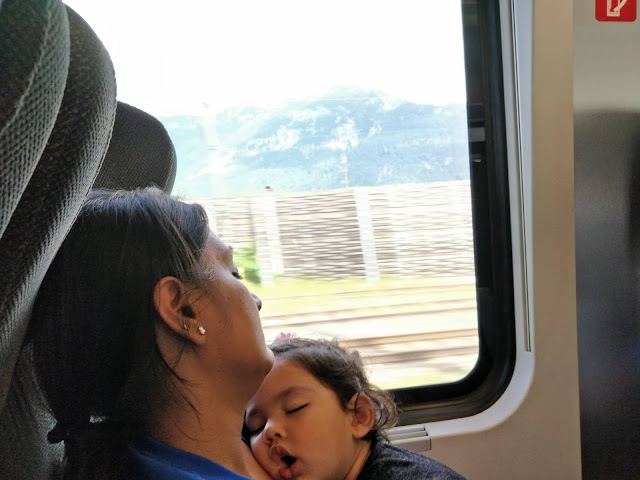 It was a 7 hour journey and we reached around 1PM at Salzburg Hauptbahnof (Hauptbahnof means main/central station). The journey was pretty panoramic and we got a glimpse of the mountains of Slovenia as well. Our hotel (Pension Jahn) was a 10 minute walk from the central station. My advice is to choose any property within walking distance from the main station as a lot of day trips would require you to board a train or bus (there is also a bus station at the central station). We had our lunch at Burger King which was very close to the central station. The store offers 2-3 burger options for vegetarians as well, which is rare in European countries. This may be due to the fact that a lot of Indian tourists travel to Salzburg. 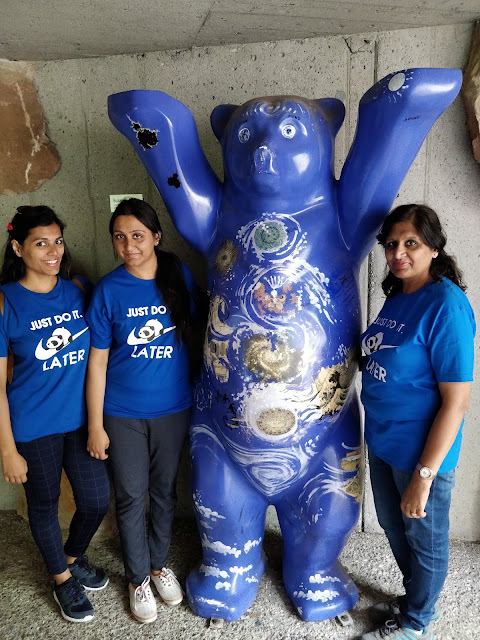 We then proceeded to the hotel to relax for a while. After recharging ourselves we went out to see the city of Salzburg. 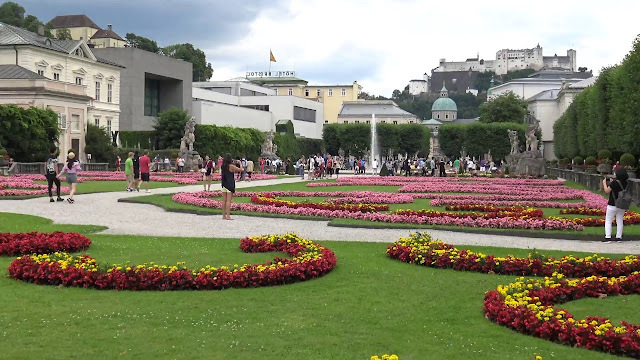 Our first destination was the famous Mirabell Palace and Gardens located right at the heart of the city. We did not go inside the palace and preferred to stroll around the gardens. The garden was full of bright colour flowers which was appearing very pleasing to my eyes. The weather also supported the garden’s beauty as the gloomy atmosphere perfectly complemented the bright coloured flowers. It was a magical sight that I still cherish. 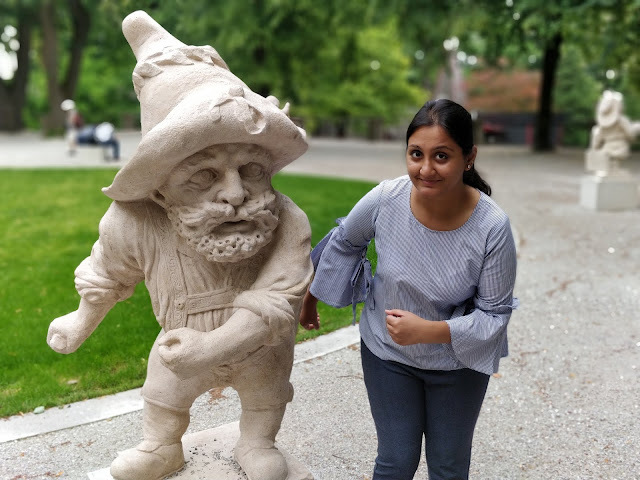 There were numerous statues and a fountain in the garden and my daughter did get her fun time too. We were surprised that there was no entry fee to this gorgeous garden. It was almost evening by the time we left the gardens and now he headed to the old town. There is a bridge above the Salzach River (Salzburg’s main river) which connects the old and the new town. We preferred to walk only as we did not feel tired on account of pleasant weather. 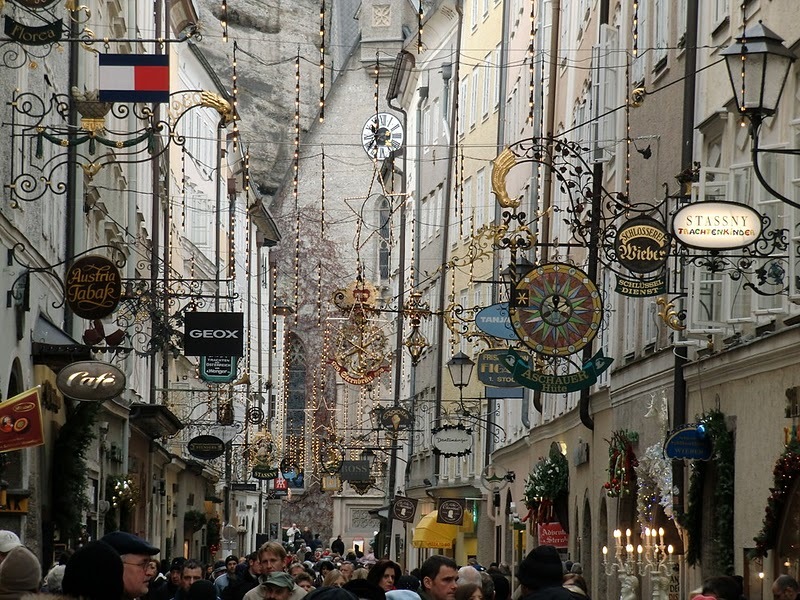 On reaching the old town, we went to the Getreidegasse – the most popular street of Salzburg. The charm of this street can be seen by narrow streets, traditionally built houses and open courtyards. People are also attracted to this street due to a number of international shopping outlets and multi-cuisine restaurants based in this area. We spent an hour strolling around and in between we also found one Indian restaurant too (I am not able to remember the name) and had our dinner there, before walking back to our hotel. Today we embarked on our day trip to Innsbruck – the capital of Tryol state. It’s a 2 hour journey by train so we made sure to catch a train at the earliest in the morning. We booked the tickets in advance for EUR 19, however, the price was almost double if booked on the same day of journey. This journey too was very scenic as you pass first through lush green outfields and lakes, and then you pass through different mountain ranges (Austria is an ideal country to travel by train if you want to enjoy nature’s beauty). Since we got up quite early, it was also a good time to take a quick nap. On reaching Innsbruck Hauptbahnof, the first thing was to get an Innsbruck Day Card having a validity of 24 hours. The cost was around EUR 40 per person and it includes almost all attractions and unlimited use of public transport. 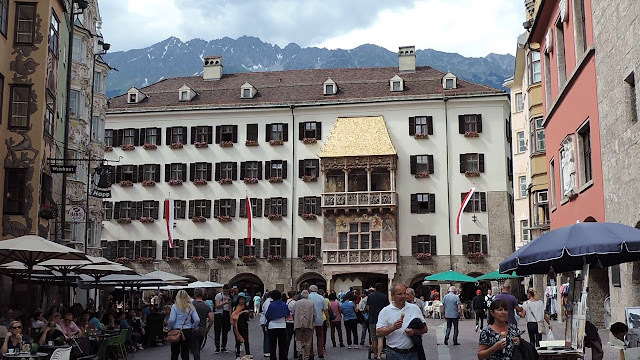 One of the prominent landmarks of Innsbruck is the Nordkette Mountain range and we headed straight there by using a tram. We had allocated 2 to 2.5 hours for this excursion so that we have enough time to see the old town before heading back to Salzburg in the evening. Nordkette Mountain range is divided into 3 levels – Hungerburg, Seegrube and Hafelekar. 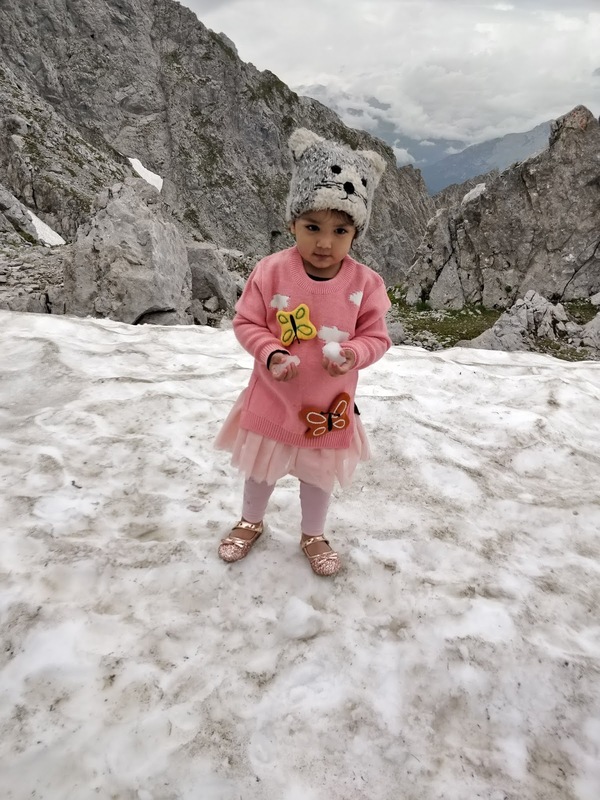 There are funiculars and cable cars which took us to every level.Hafelekar is the last stage of the mountain which is 2,250m above sea level and it only took 15 minutes to reach the summit from the station. 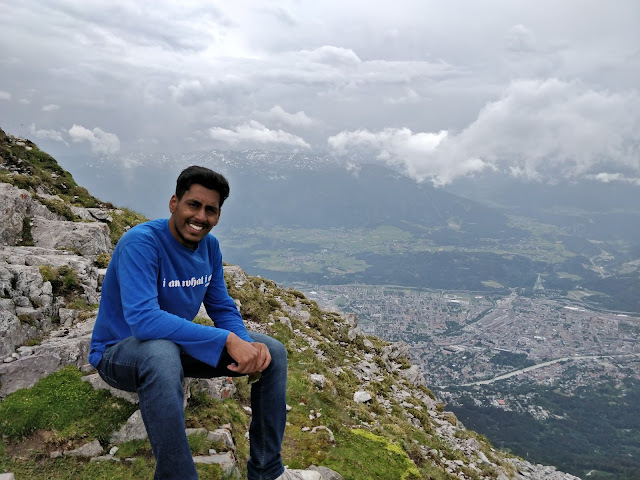 The views from the top were simply majestic as you get 360° view of Innsbruck. After spending 30 mins at the top, we descended back to level 1 where there was a Zoo. 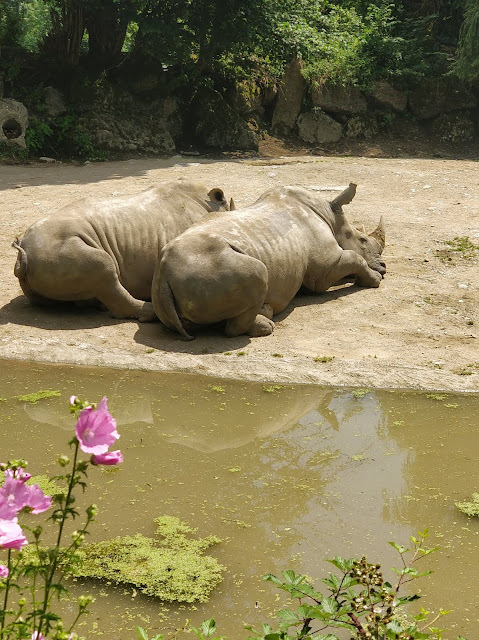 The entry fee of the zoo was covered by the day card. 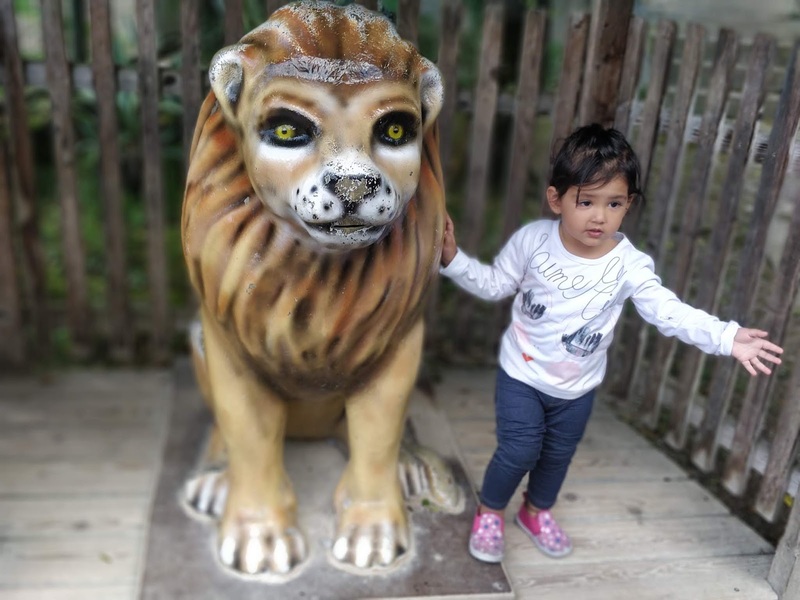 My daughter had a great time here seeing different animals and birds. The complete trip would have cost EUR 43 (including zoo) for adults which is why we opted for 24 hour day card which covered the entire cost. On returning from the Zoo, we had our lunch at Subway which was based near the old town. Our next destination was the famous Golden Roof located right at the centre of Old Town. This structure is a multi-storey building where the roof is made of copper tiles making it look like it’s built of gold. There is also a museum showcasing the history of this roof but we skipped it owing to limited time. 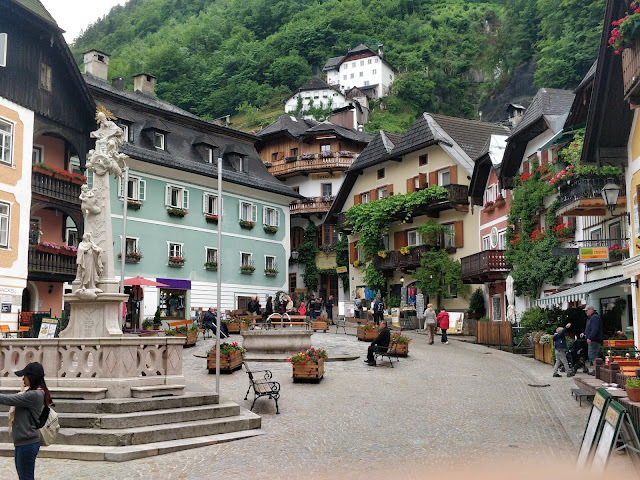 We then strolled around the old town for a while before taking a bus back to the main station to catch our train to Salzburg. 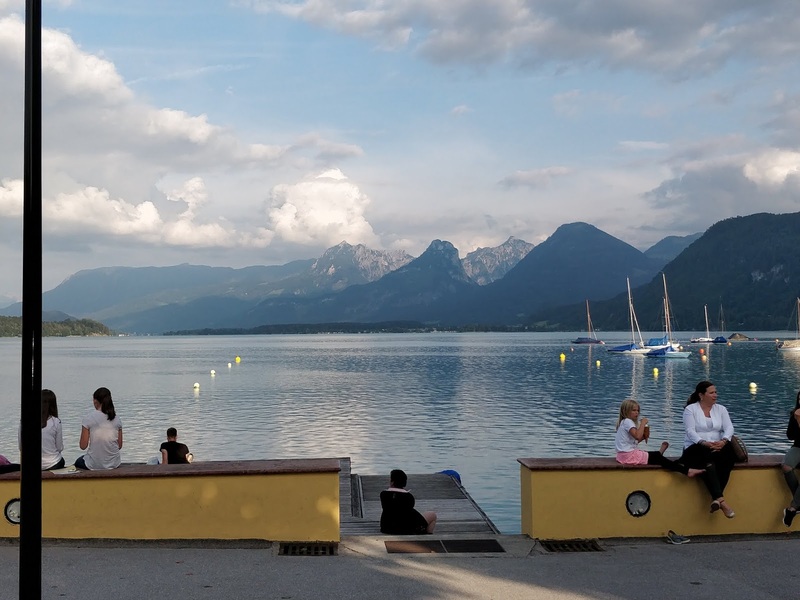 Today we shifted our base to St Gilgen – a small picturesque town surrounded by mountains and Lake Wolfgang and is situated about 30km from Salzburg. We had never heard of this place before but after reading positive reviews on Tripadvisor, we decided to stay a couple of days here, and I would strongly recommend doing so if you prefer relaxing environment within nature’s raw beauty. The other reason to choose this place was its proximity to another picturesque town called Hallstat. We took Bus No 150 from the central station and it took an hour to reach there. We had booked a BnB and were in awe of this place as the views from the balcony were like a fairy-tale for us. Below picture will give you a glimpse. It was raining during day time so we just sat at the balcony with our tea and maggi and were enjoying the mesmerising view. The town has a famous cable car - Zwolferhorn Cable Car – which takes up further in the mountains, however, due to consistent rain we could not do it. As the shower became lighter we decided to stroll around the town in the evening. The weather was slightly cold so our woollens came in handy during this time. There is a Spar department store from where we did shopping of some fruits and snacks. For dinner we ordered Pizza as again there were limited options for vegetarians. 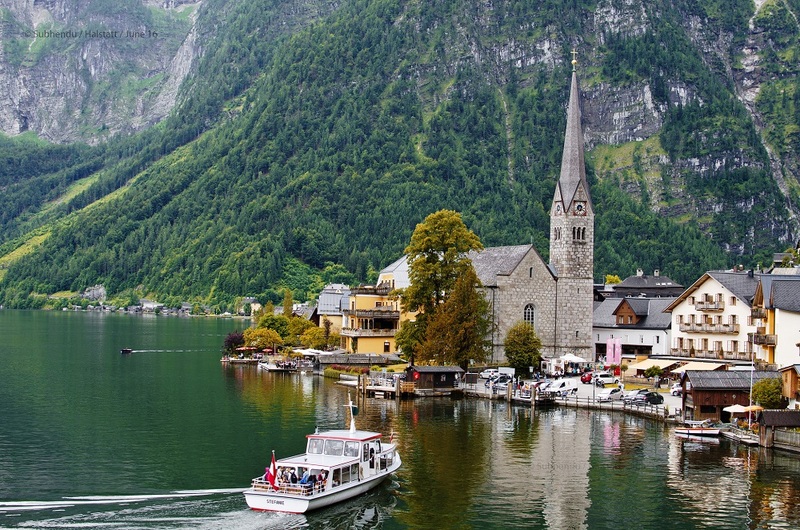 Hallstatt – which means place of salt – is one of the oldest inhabited villages in Austria. It is also home to one of the world’s first salt mines. Many people call Hallstat the most photographed village of Austria owing to its location, picturesque architecture, colourful homes, etc. Well, after visting this place even I would like to agree to this fact. Nestled between a lake and mountains, no wonder this place is a UNESCO World Heritage Site which is flocked by many tourists round the year. Day trip to Hallstat (mailnly from Vienna and Salzburg) is a very popular excursion in Austria and should not be missed. It took about an hour to reach there as we travelled by 3 different modes of transport – Bus, Train and Ferry (I bet you won’t feel tired by changing transport as all the routes are pretty scenic). Firstly, we took Bus No 150 from St Gilgen to reach a nearby town called Bad Ischl (travel time 30-40 mins). From Bad Ischl we boarded a train to HallstatHbf which took about 15 minutes. From HallstatHbf we boarded a ferry which took another 15 minutes to reach the main town. (Please check the timetables of bus and train before planning your trip). 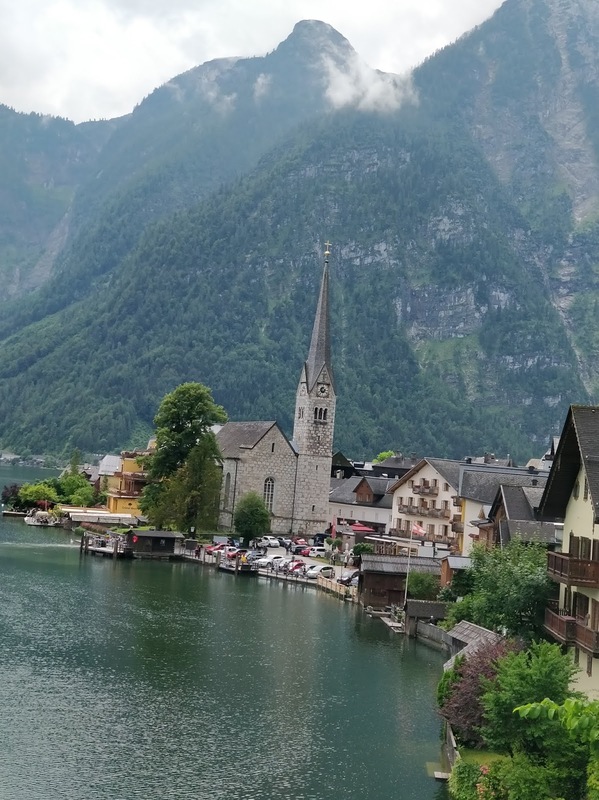 There is also another route where one can board a train from Salzburg to Attnang-Puchheim and change the train from Attnang-Puchheim to Hallstatt. There is not much difference in time between these 2 routes. On reaching the village at noon, we decided to stroll around this beautiful town. The place had an amazing vibe and the cloudy weather added to the beauty of this place. We started walking towards the main market square looking up at the colourful wooden houses with their majestic flowerboxes. I must say walking around the downtown is an attraction on its own. After 45 minutes we reached the end of the town where there is a Salt Mine. Guided Tours are conducted at regular intervals to make one understand about the history of such mines. 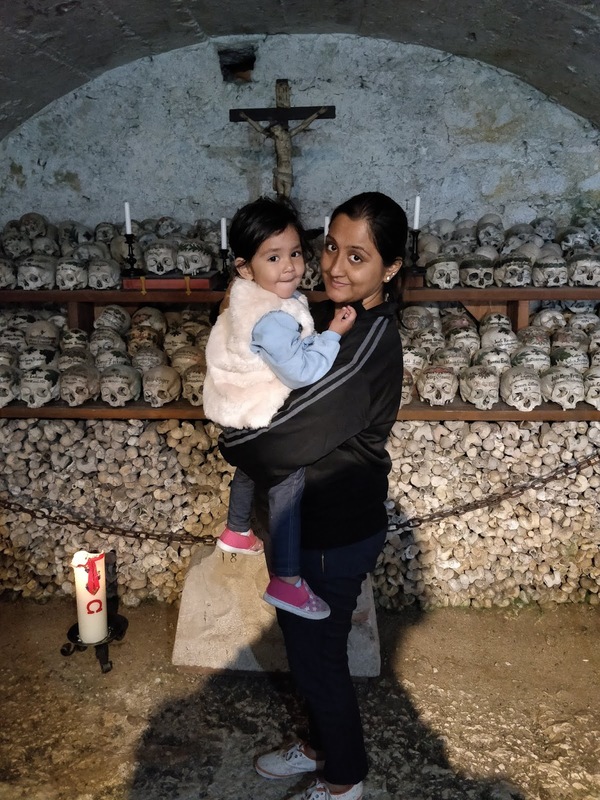 Since children below 4 years were not allowed inside the mines my family went ahead with the tour, while my husband, daughter and I decided to walk around the town once again (the salt mine tour takes about 2 hours). We grabbed our lunch at a local food stall before proceeding to Hallstatt’s main Chapel and the Bone House, where hundreds of decorated skulls have been preserved. It was late afternoon when my family was back from the salt mine. We did some shopping from local stores and then headed back to catch the ferry. 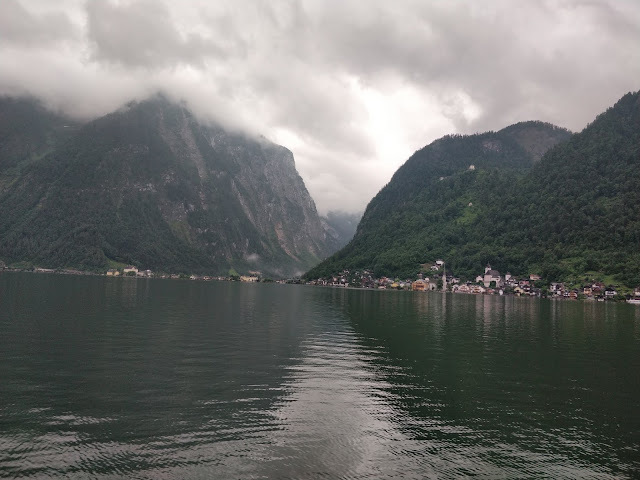 I left Hallstatt with a heavy heart. The beauty of this village had cast a powerful spell on all of us and sure I would love to come to this place again. We reached St Gilgen in the evening and were in no mood to go back to the apartment. So we started strolling along the lakeside area and relaxed for a while by sitting nearby. The sun was setting down and it was a very peaceful time away from the hustle and bustle of a big city. Today we had to catch our train from Salzburg to go to Munich from where we were flying back to home. Since the train was in evening, we decided to see few things in Salzburg which we could not cover on Day – 1. After checking out early from the apartment we reached Salzburg Hbf around 11AM. We bought Salzburg day card (EUR 28/person) which included entry fees to almost all attractions and unlimited use of public transport. We decided to visit Salzburg Zoo and Trick Fountains at Hellbrunn Palace as these places were nearby and would consume most of our time. 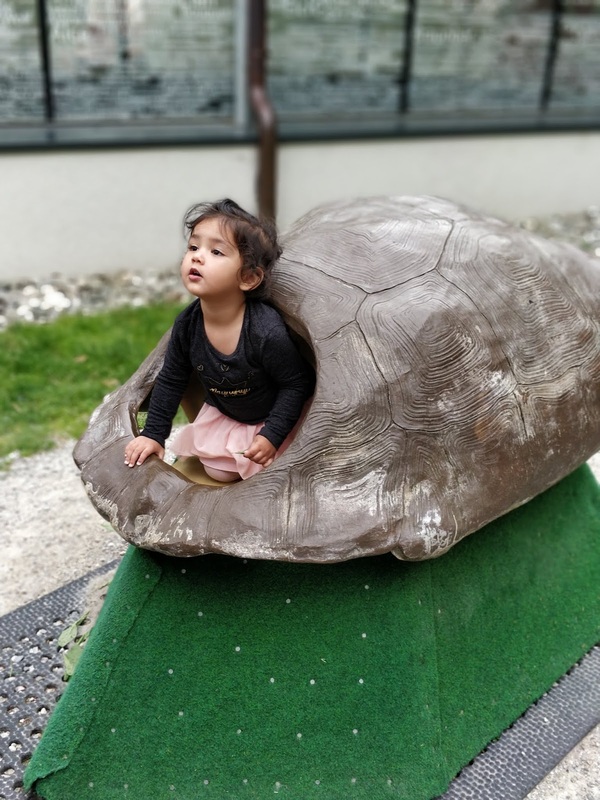 Our first destination was the Salzburg Zoo as my daughter is quite fond of seeing different birds and animals. It was a pretty big zoo and one can find a variety of species including big cats such as lions, jaguars and tigers. 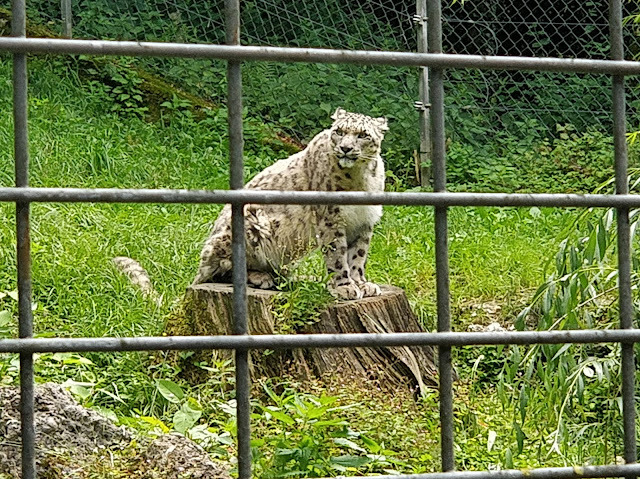 The zoo was neat, clean and kept the animals in an environment similar to their natural surroundings. We ended up spending a couple of hours here. Our next stop was Hellbrunn Palace which was nearby but we still had to take a bus to reach there. Besides having a magnificent architecture, this palace is also known for its Trick Fountains. The only way to see these fountains is to enroll in a guided tour, which is in both German and English. The cost of this tour was already included in our day card. The Trick Fountains tour was truly a unique and entertaining experience and is suitable for all age groups. 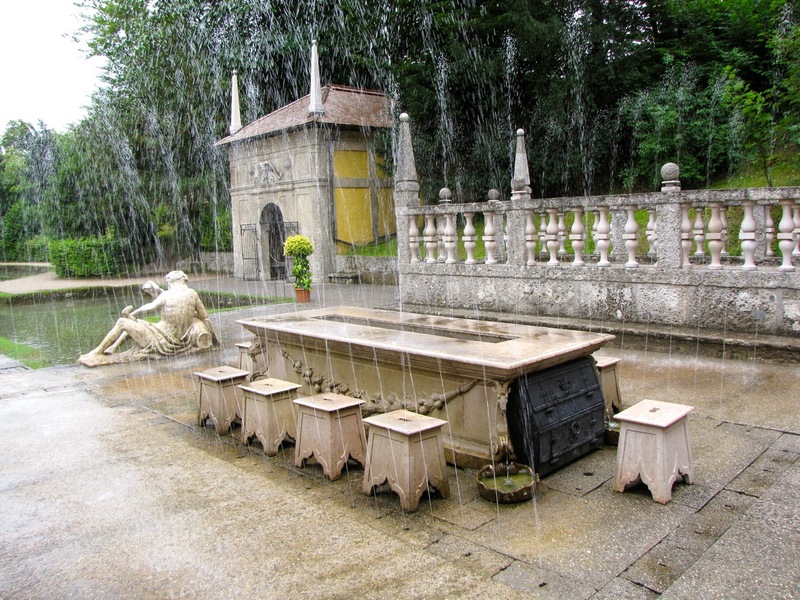 There are hidden fountains along the path and be prepared to expect the unexpected. Also, don’t get bothered about getting a bit wet, just protect your electronics. The tour is for about 30 minutes and the entrance fee is included in the day card.It was already 3PM by the time the tour finished and we could not coverHohensalzburg Fortress (you need atleast 2-3 hours to view this beautiful fort), and we decided to go back to the central station to board our train to Munich. 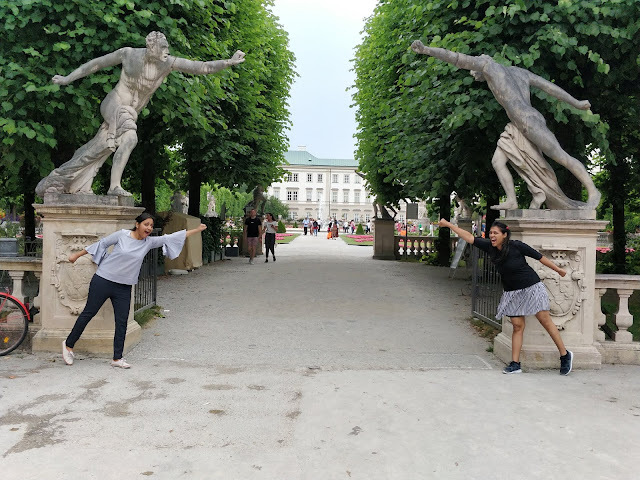 For me this trip to Croatia and Austria was the most memorable one than all my previous vacations. While Croatia was prominent for its sapphire waters along the walled cities, Austria was characterised by its Alpine scenery. The reason to choose Croatia and Austria was to enjoy the flavours of both beaches and mountain regions during this vacation. Also, we did not take any package and planned the entire trip on our own. We knew what places we wanted to go and how much time we should devote in each place. Secondly, we got to cover those places which tour companies usually not include in their packages, or even if they include, the price is on the higher side. Lastly, both these countries were a delight to experience and I will cherish the memories for a very long time.